If you have a full time, salaried job that entitles you to health/dental benefits and added security like workers compensation, then you’re living out one of the great American dreams. You have a job with good prospects and employers that look out for you. It’s a great position to be in. However, just because workers compensation is in place, it doesn’t automatically follow that if you get injured, your company will be there to support you financially. Obviously, if you weren’t injured on the job, your company has no legal obligation to honor a workers compensation agreement, since you weren’t actually working. 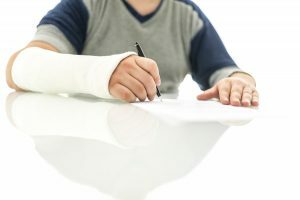 But even if you were injured while you were working, there are certain circumstances that occur that may still bar you from getting compensation. This is especially true if, after an investigation, it is decided that you may actually be at least partly responsible for your own injury. The presence of drugs is one of these instances. No one ever really wants to need the services of a personal injury attorney, but there are instances when these services are a necessity. We have been serving Port Charlotte and surrounding areas for years, and we can handle all of your personal injury needs as well. Residents in Sarasota county should seek consultation if any of the following items have happened to them. Animals bite, it is just in their nature, but if that animal is owned by another individual, they should be held accountable for their animal’s actions. Out-of-pocket costs for medical bills can add up in a hurry, so seeking an attorney can often offset those costs until the legal proceeding has concluded. 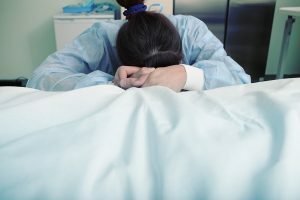 What’s The Difference Between Wrongful Death & Murder? During the years 1994 and 1995, most of America was fixed to the television waiting for the latest courtroom developments in the case of former football athlete O.J. Simpson and his trial. He was accused of murdering his ex-wife and her friend. This was clearly a criminal court case, and it was one of the most widely followed and talked about court cases of the 20th century, not just for the notoriety of the person involved, but even the questions it raised about the American court and judicial process. In the end, O.J. Simpson was found not guilty of murdering Nicole Brown Simpson, or Ron Goldman, but his time in court wasn’t over. Despite being found innocent of murder, Simpson was sued for wrongful death, and this was a trial he lost. He was subsequently required to pay out 33.5 million dollars in damages because Simpson, despite being innocent of murder, was found liable for wrongful death. So how did this happen? How can someone not be a killer and yet be responsible for the death of others? In today’s society, we use social media for just about everything. You can keep up with friends and family, let people follow along with your life, and ruin your personal injury claim. 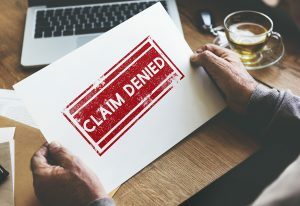 Social media has become the first stop of many insurance companies that are disputing a claim. 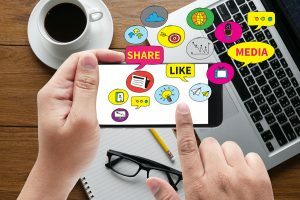 Much of the information that you put on these platforms is more public than you might think. It is best to avoid negatively affecting your claim whenever possible. Pictures are worth a thousand words. Avoid posting pictures of you doing anything that may hurt your case. The investigators are going to scrutinize every aspect of your profile and your postings. Obviously, if you have a neck injury from an auto accident, you should not be water skiing, and you definitely should not be posting pictures of it. In many ways, you can be your own worst enemy. One of the things that both criminal and civil cases use in court is the witness. 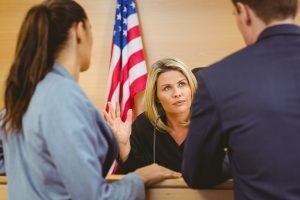 If you’ve ever watched any television involving police and court procedure, you know that once things go to the courtroom, some people may be called up to take the stand. When they do, they are asked questions and are required to give answers that will help the jury overseeing a court case to come to a final verdict. In some cases, the people called to the stand will be there in the capacity of witnesses, explaining whatever they saw so that the jury has a clear idea of the course of events. In other cases, the people called up will not have any actual personal experience with the events centering around this specific court case, but they bring something just as—if not more—important; expertise. 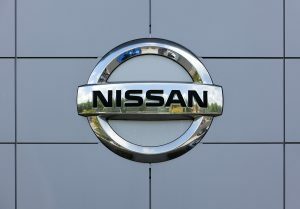 There have been massive amounts of recalls being issued in regards to airbags within the last couple of years. Airbags failing to deploy or improperly deploying are a major cause of concern. These parts are incorporated into vehicles to keep us safe, but lately one has to wonder what is going on. 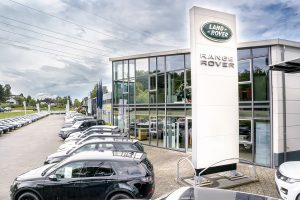 Certain models of 2016 Land Rover Range Rover and Range Rover Sport vehicles. There is a possibility that the front passenger side airbag inflator initiator may fail to ignite. This basically means that the airbag will not deploy upon impact if the initiator does not ignite. Your passengers rely on you and your vehicle to get them to their destination safely. If your vehicle's airbags are not functioning properly, personal injuries are more likely to occur, should an accident happen. 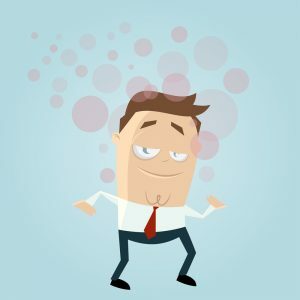 Drowsiness can creep up on us at the most inopportune times. Unfortunately for everyone, it can happen while driving as well. It is not only unsafe for you if you are the person driving, but it is unsafe for every Florida resident that is on the road. 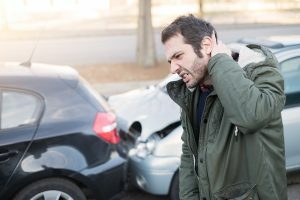 Personal injuries are often the result of drowsy driving but these tips can help you stay aware of your surroundings. If you are going to be driving for an extended period of time, do not be afraid to stop and stretch. Fresh air and stretching your legs can often help wake you up. Getting the blood flowing throughout your body allows your brain to focus on the task at hand, which in this case is driving. The extra 5 minutes that you take to re-focus yourself could be the difference between you arriving at your destination safely, or a costly accident. Can A Trespasser Sue You For Injuries? Fortunately, this isn’t a situation that happens very often, but it’s still a nightmarish scenario for some homeowners. You have someone break into your home with the intent to steal things, or even harm your family. 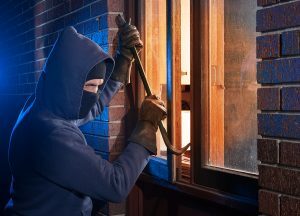 However, over the course of the home invasion, the intruder gets injured by some component of the property, such as toys left on the stairs, or a cabinet that falls down after looting because it was not properly bolted to the wall. Now the intruder becomes a plaintiff and you are a defendant in a civil lawsuit for personal injury and negligence. The big question is, as outrageous as this situation may appear, just how likely is it in court? When you get injured at a full-time job, with full benefits and protections for the employees like workers compensation, you’d think that it would be a straightforward affair. If you’re fulfilling your professional responsibilities, not acting in any questionable way, and a mishap—through no fault of your own—occurs, then the fair and right thing to do for your employers is to give you the workers compensation that exists for just such occasions. You did nothing wrong while doing your job, and therefore your job—as agreed—should pay for the expenses that may be required. However, there’s one thing that can often make this procedure much more complicated than it needs to be. In some cases, it can even mean your company will not give you the compensation that you are due. The worst part of this situation is that it exists in a big, legal gray area, where what happens can’t exactly be said to be illegal, and yet at the same time, it may not be the right thing to do either. 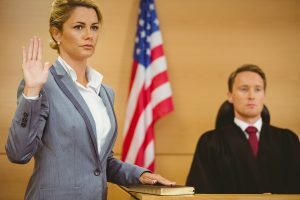 One of the things that some people may be familiar with from courtroom dramas and other forms of entertainment is the “twist” that can occur in court. This usually comes in the form of a surprise witness, or a sudden revelation of evidence that leaves the opposing side in a court case completely unprepared and unable to pursue their case. In television and movies, we usually enjoy this type of courtroom intrigue because it’s normally the cleverness of the main character—or his or her attorney—that allows this sudden surprise to win the day. For entertainment purposes, these surprises and twists have a lot of value and make for much better, more fun story-telling. In the real world of actual court process, this type of surprise rarely occurs, and for good reason. In a practical court system that is trying not to stack the odds in favor of one side or another, this kind of surprise twist is actually strongly discouraged in Florida. As parents, we like to think of our teenagers as responsible young adults. How many times has that come back to bite you in the rear? 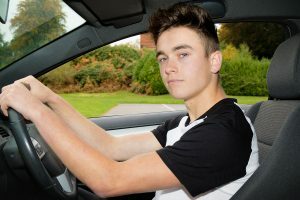 Having a teenage driver in the household is a massive responsibility. It is a life changing experience for teenagers and parents alike. These tips are designed with the intentions of helping you keep your teen driver safe and to help avoid unwanted personal injury claims. 1. Always inspect the car. Maintenance on the vehicle that your teen drives will not take care of itself. Checking tire pressure, fluid levels, and making sure your teen keeps the inside of the car clean are necessities. It is important to give them space and a certain amount of responsibility, but leaving these responsibilities entirely up to them is a recipe for disaster. Take a few extra minutes out of your day and ensure their safety with a few minor maintenance checks. When driving a car off of the lot we assume that the car is safe, reliable and that it adds convenience to our life. Automobile accidents can occur from faulty components, or even from manufacturer negligence. Consumers need to be kept in the loop when it comes to motor vehicle recalls because safety should always be a top priority. 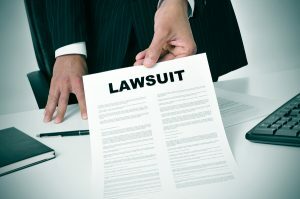 Should you receive a personal injury from a recall, you should seek a reputable and proven law firm to represent you. We always have the best interests of our client in mind. Whenever possible, we would rather you avoid personal injuries altogether, but should the need arise we can help you through this stressful process. 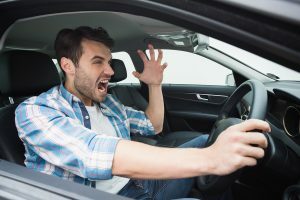 Aggressive driving can result in numerous amounts of personal injury. All attempts should be made to avoid these types of drivers, and if you show one of these characteristics, you should consider changing your approach to driving. Aggression can happen for a variety of different reasons including traffic and personal issues. Tailgating- This behavior happens when one driver’s car is extremely close to the rear of another driver’s car. If you happen to be the recipient of this aggression, simply change lanes and let the other driver around. Being the bigger person will ensure that you will remain safe, and with any luck, it will take some of the aggression away from the other driver. Avoiding tailgaters is a necessity because their behavior can be too erratic. Why Would You Not Get Worker’s Comp? For most people that are gainfully employed at a full-time job, with a monthly salary, one of the biggest advantages of being in these types of professions are the personal and professional security. Part-time jobs, for example, have very few perks and little in the way of job security. Freelancers, on the other hand, can work their own hours and have more say about the type of work they take on, but at the cost of an unstable monthly income, and no guarantee of continued financial support. However, with a full-time, salaried job, many people, especially in trade professions, such as working in factories or in construction, enjoy many benefits. One of these benefits often involves worker’s compensation, which is when the company that is employing a person agrees to finance any medical costs that may be required as a result of injuries sustained while on the job. What Is The Role Of Your Health Insurance In An Injury Lawsuit? Healthcare and insurance has been a hot topic as of late, which brings up a lot of different questions for different people in these cases. There may be a bit of uncertainty with overall thoughts surrounding healthcare but we can help navigate some situations where a legal case and health insurance may both be part of your concerns. What part does your health insurance play when you sustain an injury at work, in an accident or at a business where you are seeking compensation? Just like most other legal cases there are multiple scenarios but we will highlight a few. Medical bills are commonly factored in under the damages portion of the compensation in a personal injury case. For the most part it is understood that if someone or some business causes an injury to a person they are liable to cover, at the very minimum, the cost of medical bills resulting from the injury. This is where the presence of the health insurance makes things a little more complicated. Subaru has announced the second in some recent recalls to their Impreza and Legacy models. 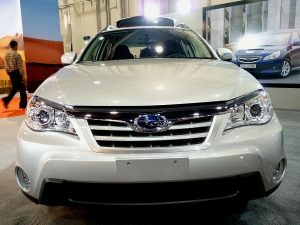 The Ministry of Economy and Commerce with the Mannai Trading Company has issued recalls on the 2010-2014 models of these cars due to a faulty air injector pump. The company has also released a recall for the MY2017 Impreza due to a malfunctioning reverse camera. The new vehicles come equipped with a backup camera in the dashboard, as many newer vehicles do, to help guide you in the blind areas of your reverse position. There have been reported glitches with the new model's camera as it will freeze on one spot. While, we should all be able to back up without a camera safely, if one has become reliant on the camera or is simply looking at it when it freezes this breeds potential danger in distraction and confusion.